I meant to post an origin story (they’re all the rage after all) about the beginnings of Cinema Shame but the whole project took off before I could toss this out there. Better late-ish than never. Sometime in high school (1995-ish) when I became obsessed with haunting video stores, my parents bought me a book called THE ENTERTAINMENT WEEKLY GUIDE TO THE GREATEST MOVIES EVER MADE. 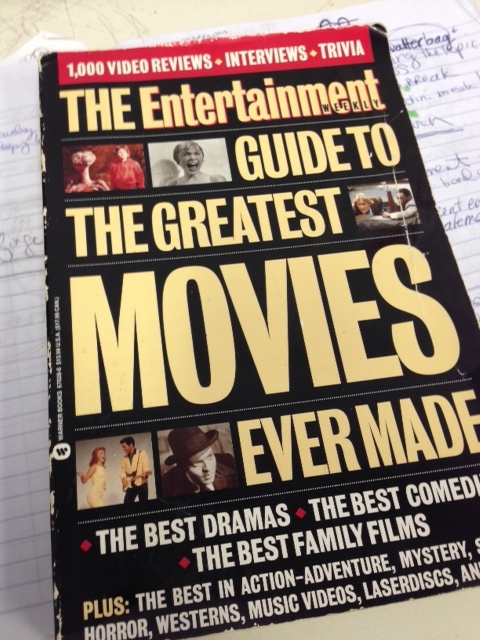 It had just been published in 1994 and was the most up-to-date guide on movies I’d ever seen. The lists contained within were broken down by genre: Drama, Comedy, Action, Sci-Fi, Western, etc. It even contains an awesomely nostalgic time-capsule section on the best Laserdisc releases. Anyway, as I went through the book I marked the movies I’d seen and immediately set forth watching every movie counted off in the book. Suffice to say, twenty years later, dog-earned and falling apart at the binding, the book remains a constant around my TV. I’m still marking off movies I’m just seeing for the first time. A few months ago, I began wondering how I could encourage myself to tackle those films I hadn’t yet watched when the notion of crossing another movie off the list hadn’t yet compelled me. I’d tossed about the idea of live tweeting the movies but the rigors of #Bond_age_ made that impossible. Then when @campbelldropout offhand mentioned his 12-film list on Twitter, I had a EUREKA! moment and the ensuing conversation begat Cinema Shame. 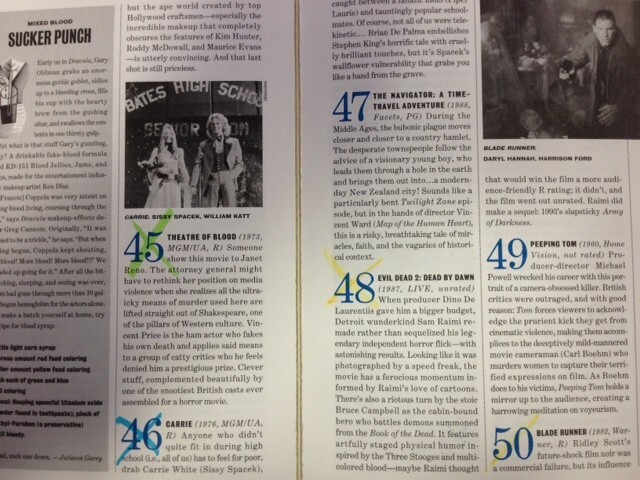 In compiling my list of 12, I consulted the EW Guide for a few picks. I looked at the movies I already owned for some others. Perhaps the best aspect of this book is that the lists aren’t routine regurgitation. They contain some surprise entries among the hard-and-fast staples. This might be the result of it being compiled pre-Internet and free from widespread public ridicule. Whatever the reason for it’s longevity, this book has guided my movie watching for as long as I can remember, and I feel like I owed it this fleeting moment of fame. A sample page from the Sci-Fi/Horror section. No big shock. 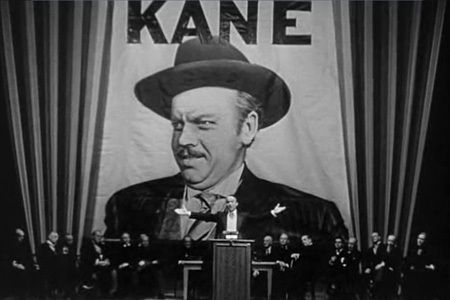 Kane takes the #1 spot in Drama. Maybe I love this book because it picked Airplane! as it’s #1 Comedy. 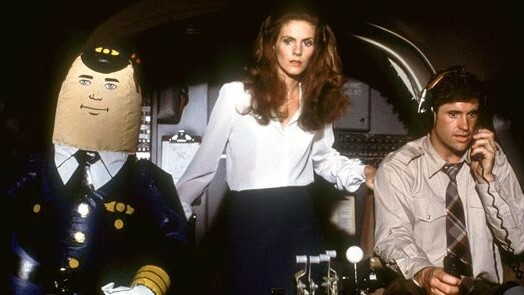 Nobody’s watching Airplane!, however. I do hope everyone’s seen it… ahem.